With over 15 different food and beverage options (and still more to come), they have done a great job at offering a large variety of food to please the masses. 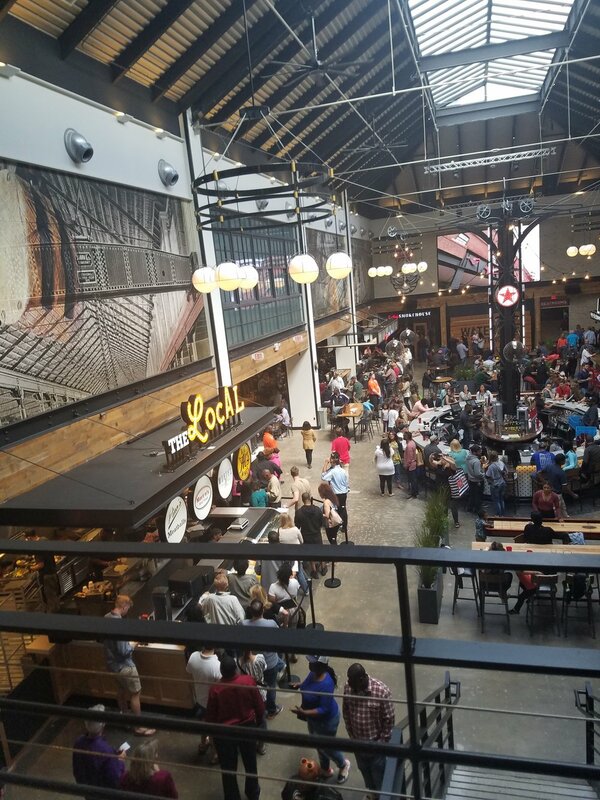 While non-food activities are limited, several restaurants are offering activities including, PBR Country Bars mechanical bull, and Blue Moon Taphouse indoor golf simulator and outdoor stage for live music. 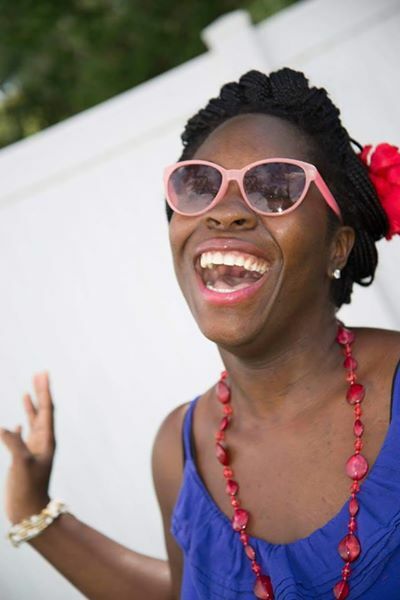 There is still plenty of room for growth, and I anticipate that things will only get better. 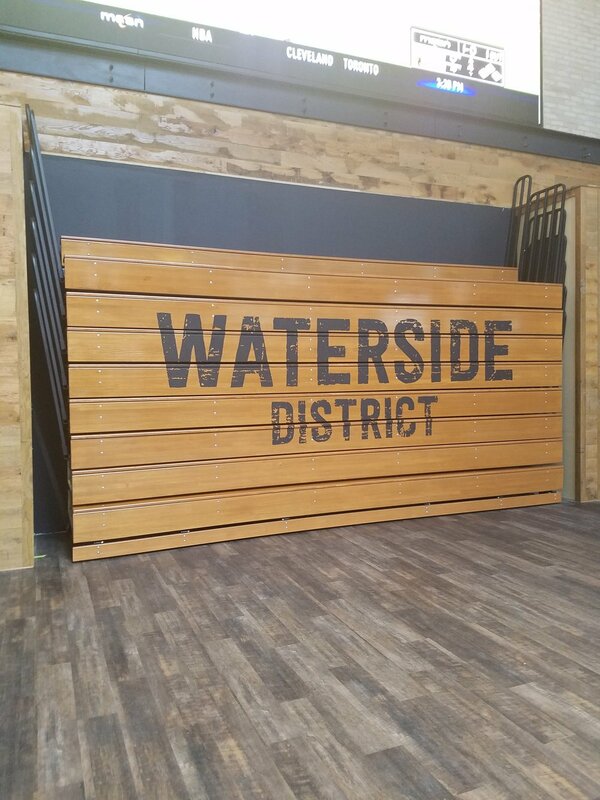 With all of the excitement, going to Waterside had actually been low on my priority list, this is because I wanted them to get all the kinks out and, I try to avoid crowds. Well, 4 days into their soft opening, I did the exact opposite. Myself and a few other bloggers from around Hampton Roads had our monthly meet up at The Harbor Club as a part of their "Sunday Funday" feature. Despite the lines of people waiting for tables at Guy Fieri's, the crowds of people grabbing food at the Market, and no available seating outside on the waterfront, the Harbor Club is a peaceful oasis in comparison to everything else. Located on the top floor of Waterside, it seemed to be marketed as a private event space, while in fact it reminds me more of a hotel lounge and bar. 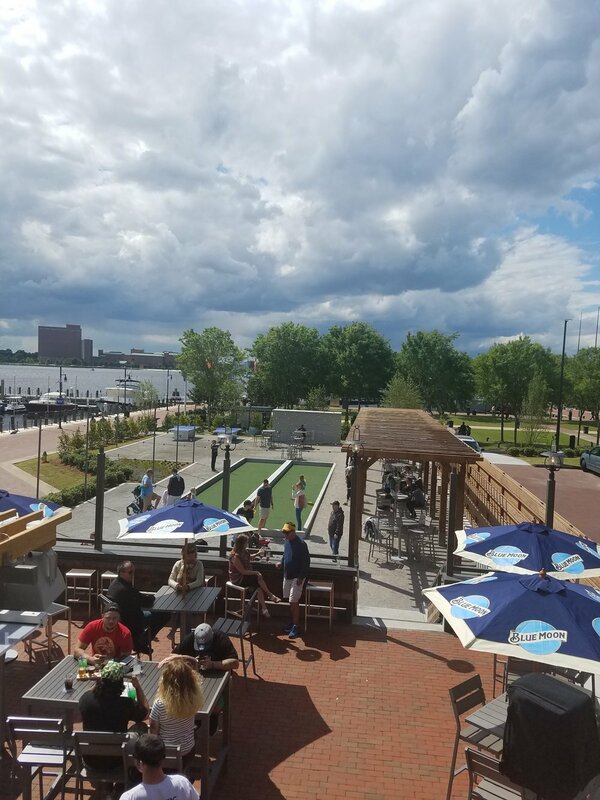 This kind of place where you can grab a drink, a few small plates and relax while looking at the view of the Elizabeth River. There are 11 food items on their menu, and unfortunately they were out of about half of them. 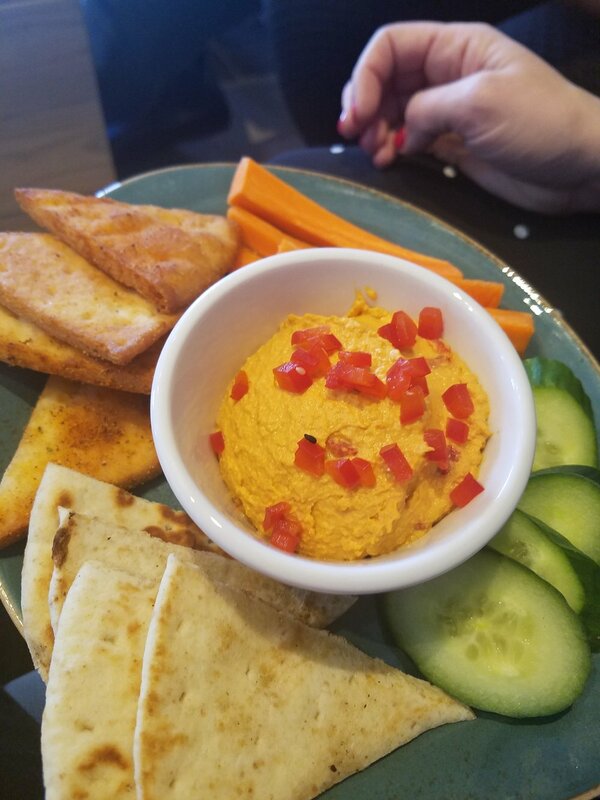 We ordered Roasted Red Pepper Hummus, Mini Lobster Rolls, Coconut Shrimp, Lobster Bites, and the Harbor Club Sliders. I wasn't blown away, there were no standout flavors and what I tried was cold. 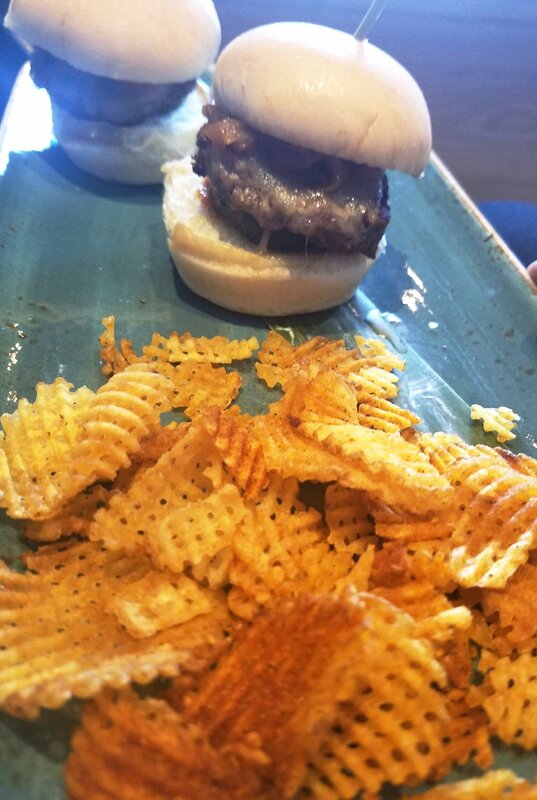 There was promise to the sliders, which were topped with caramelized onions, and the lobster bites were hot and the meat was plump. While it may be a while before I have the food there again (I want to try out the other spots), I will definitely return to try out the drinks and enjoy the relaxed atmosphere.